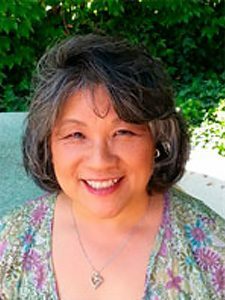 Janis has been a Licensed Acupuncturist and Doctor of Oriental Medicine, treating patients using acupuncture since 1982. She also has a Bachelors Degree as a Registered Nurse, having worked in the critical care and recovery room departments, as well as having a position as a school nurse in the Los Angeles Unified School District. Her treatment philosophy is to get patients to be an active participant in their own health care, while improving their health. Patient teaching is done with all patients by showing various acupressure techniques that they may use between treatments as well as recommendations in changing behavior that may contribute to their condition. A typical treatment is about 45 minutes but, it is tailored to the needs of the individual. Fine thin presterilized 1 time use acupuncture needles are inserted into specific acupuncture points located on the body, arms, legs and ears. Depending on the condition, electrical stimulation may be applied to selected needles. Cupping technique, used in many cultures, may be used, depending on the condition and at times, sliding cupping can be done at the completion of the treatment. Ear beads may be put in place for the patient to apply pressure after the treatment and as a teaching tool. Addictions…being ready and wanting to quit is best for optimal results!